In 2006 I have been invited on an artist residency in Bremen, by the Bremer Buergerschaft and Heimstiftung. 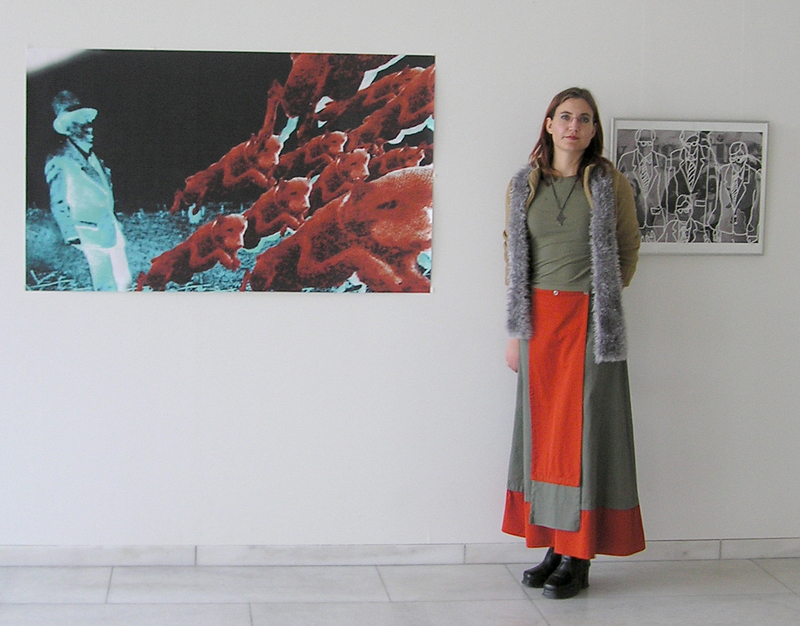 The residency was supported by the curator Dr Katerina Vatsella. The 3-month residency took place between March and May 2006. While in Bremen, I had a small exhibition at the Bremer Buergerschaft, another one at Landhaus Horn and a 2-person exhibition with the Bremer artist Michael Weisser. During this time I worked on a collaboration project with Michael Weisser, which unfortunately has never been shown to the public. Imke Rust visually replies to German artist Michael Weisser’s images of Schloß Bückeburg. Michael Weisser has made artworks reflecting typical German ornamental designs from the tradition-rich, 700 year old German castle Bückeburg. A selection of these works in Weisser’s signature style has been used to start of this new joint project between him and his Namibian colleague, Imke Rust. Envisaged was an artistic dialog between him and Rust, between Germany and Namibia. Imke Rust used these digital prints on canvas as her basis, to ‘answer’ from her Namibian perspective and in her style. Rust paints directly onto Weisser’s digital prints, with themes, images and ideologies, which represent her country and her reality. Therefore the visual/artistic dialog takes place directly on one canvas. The end results are 5 canvases on which one can recognise both typically German and typically Namibian images combined to form a harmonious whole. Still one can clearly distinguish each artist’s input and style with their similarities and differences. Not only are the represented themes typical for each country, but they are also typical and have personal significance for the artists. Each artist’s personal style and methodology are brought together successfully in one artwork. Below you can find some pictures from the artworks which resulted from this project (unfortunately they are all destroyed) and some pictures of me at work in the Bremen studio and details of the process. The artworks are 100 x 100cm in size.